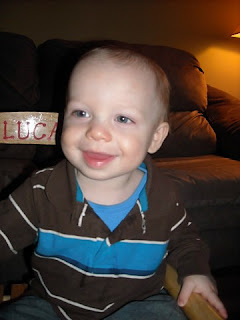 one year ago today, we welcomed you, lucas james whitt, into our world! 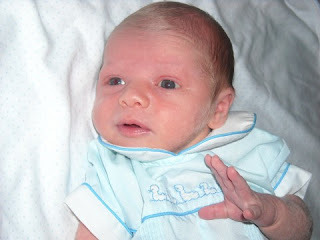 on january 30, 2009, @ 9:07 am, we saw your sweet little face for the first time. 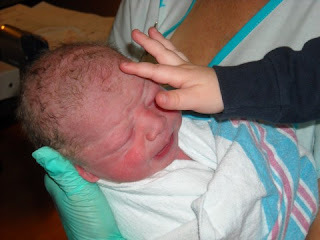 you weighed 7 pounds even and you were 20 inches long. you have changed our life in ways we could have never imagined! 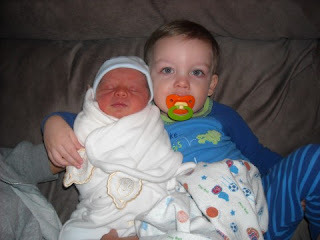 honestly, life was rough for a few days after you were born, while we were trying to get adjusted to having 2 small boys. 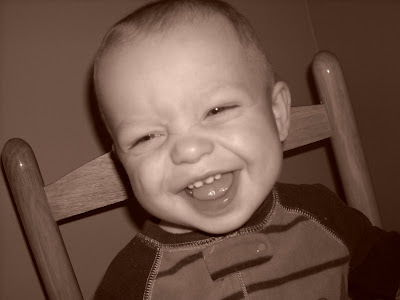 your mommy loved you like crazy, and i was so emotional 24/7! 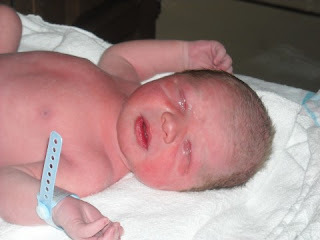 wow, you rocked our world little baby boy! the minute we saw you, it was love at first sight! your mommy and daddy love you so much sweet boy. and so does your brother trace. 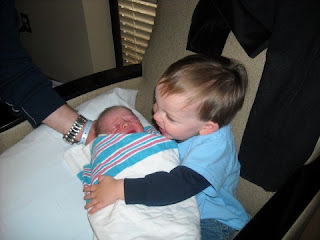 he is seriously the best big brother you could ever have! you are loved by so so so many other people... your bitsy and poppi, meme and grandaddy, nae nae and josh, caden and lala, rara and d, kenley and mason... and the list goes on and on! god has blessed us over and over this past year. we pray for you often bubba, and ask god to keep his hand on you. 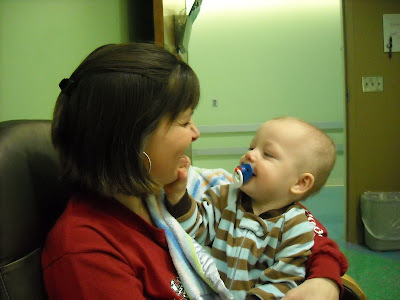 to draw you to him at an early age, and to use you for his glory. we pray for wisdom and guidance as we continue to raise you and trace, that we will be godly examples in all we do. i know we have failed a lot, and will continue to, and i'm sorry. but with god's grace, we will keep on going. we will learn from our mistakes. i promise to love you, my precious angel boy, with all my heart and to be the best mommy ever. 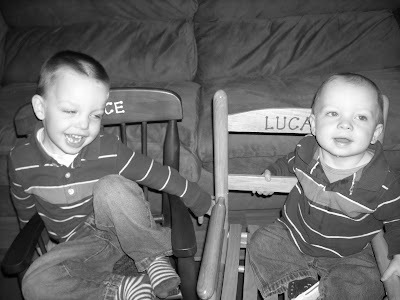 i love you lucas james whitt! 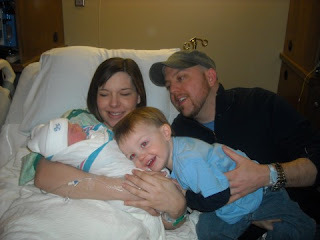 for those of you who are new to my blog, or may not remember the details of lucas' birth... you can read the longest post ever that i wrote when he was a week old. or i can just remind ya'll of a few details leading up to his birth! 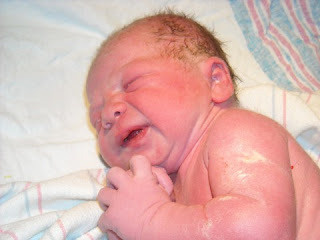 9:07- lucas james whitt arrives, healthy, safe, and fast! if you've heard that story before, sorry, you just heard it again. :) but it still gets me every time i remember it... and i am still amazed that it all happened so fast, and that i got to help deliver my son. 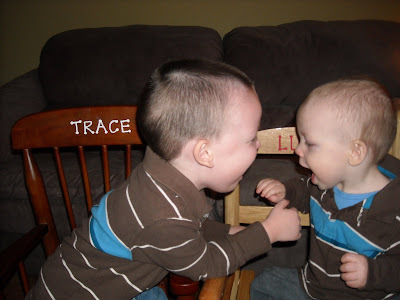 i love these pictures of trace meeting his baby brother for the first time. they are so precious! wearing the same outfit his daddy wore home from the hospital 27 years before! and now... here he is a whole year later. wow. it seems like just yesterday i was holding this tiny little babe in my arms. now he hardly sits still for me to hold him for more than a few seconds! we love watching him grow and discover new things. 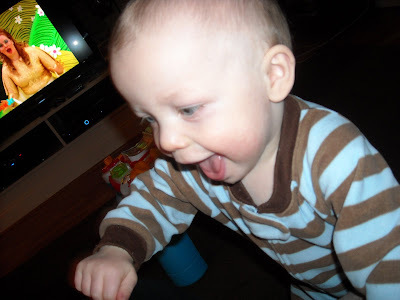 he is such a joy to be around and always keeps up on our toes! 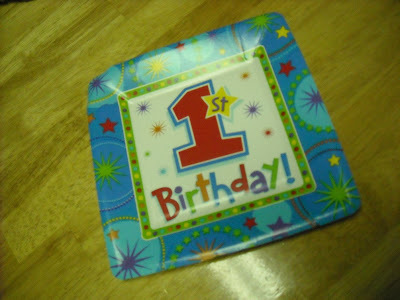 we will have his birthday party this afternoon... and i have a lot to do before then, so i better wrap this up! 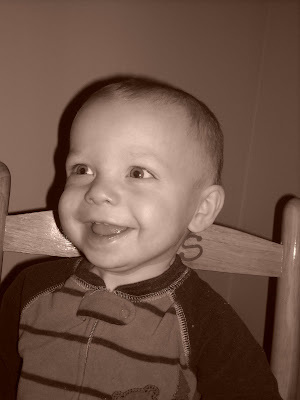 we love you sweet boy! so i don't know about ya'll... but i use diaper wipes a lot! they are just so handy to me. you can find a huge stack of them in at least 3 rooms of our house at any given time. the funny thing is, they have so many more uses than to clean a baby's bum. 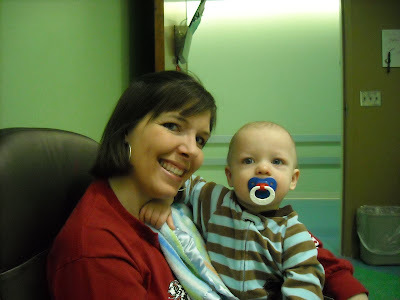 i've found myself using a diaper wipe for so many things in the past few years... so here's a run down of my top 10 favorites! # 10- forgot to clean the bathroom counter when guests are on their way over? it's ok, grab a diaper wipe! # 9- also neglected to clean said bathroom floor that hasn't been properly swept much less mopped, in only god knows how long... it's ok, grab a diaper wipe. 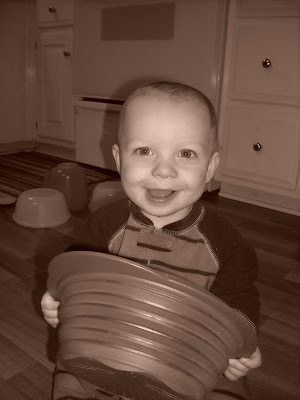 # 8- noticed the casserole dish you were about to use is covered in dust... it's ok, grab a diaper wipe! # 7- there's a yucky mess on the stove from when the chicken you were boiling 4 days ago bubbled over. it's ok, grab a diaper wipe! 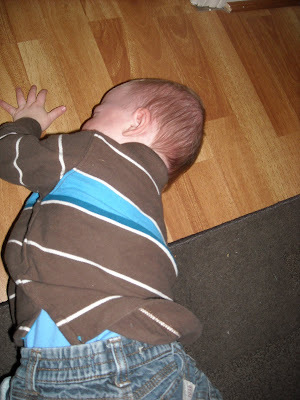 # 6- the 2 yr old spilled juice on the floor and you don't feel like getting the swiffer wet jet. it's ok, grab a diaper wipe. 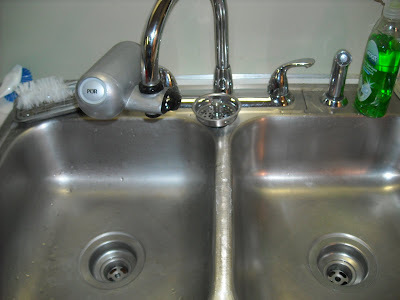 # 5- realized the counter needs to be wiped and you're too lazy to get the clorox spray and a cleaning rag? it's ok, grab a diaper wipe. 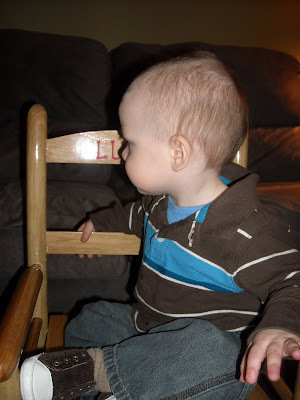 # 4- the highchair has leftover residue from last nite's dinner. or was that from the nite before? oh well. either way... it's ok, grab a diaper wipe! # 3- it's christmas day and you realize not only are you out of toilet paper, but every store in town is closed. it's ok, grab a diaper wipe. 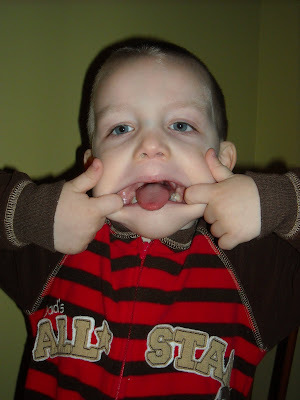 # 2- it's past time to get those faded tattoos off the toddler's face. it's ok, grab a diaper wipe! # 1- baby gets poop EVERYWHERE, including his hiney, tummy, fingers, face, and hair... and you barely have time to change him into a clean outfit, much less give him a bath, because you are already running late and about to walk out the door. well you know what, it's ok, grab a few diaper wipes (and some good smelling baby lotion!) and he's good to go! and to the inventor of the handiest little wipe around, thankyouverymuch for making my job as a mom a lot easier! so how hard could it be to get a few good pictures of the boys? the one above is GREAT, in my opinion. and of course the single one from yesterday's post was pretty darn close to PERFECT! but i thought i would show you just a few of the many outtakes we had just to get a few good pics! 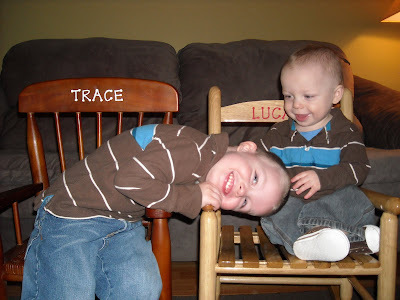 what sweet and silly boys! they sure fill my life with laughter and joy! 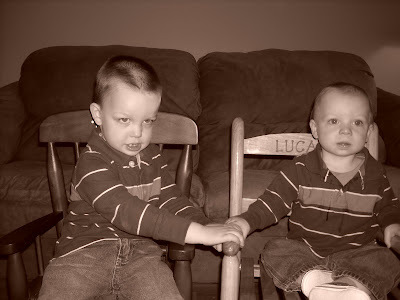 lucas has not recently started throwing professional style WHITT FITS! 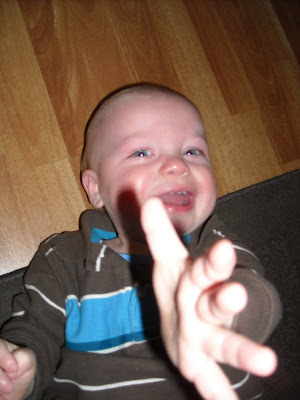 he does not scream and cry and flail around on the floor when he doesn't get his way. and i would never take pictures of him during his fits instead of spanking his hand. this is NOT the first time the sink was empty this week. i would NEVER let dirty dishes overflow from monday-sunday. i did not finally give in and wash them when there were no more sippy cups clean. i always wash the dishes every night so they don't stack up in the sink. 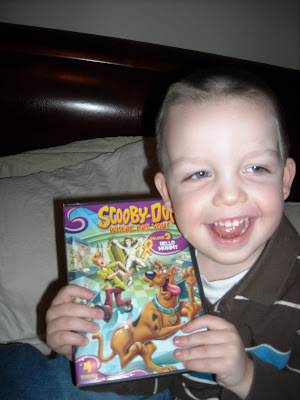 and lastly, trace did not recently discover his newest obsession: scooby doo! he does not know the names of all the characters (scooby, shaggy, freddy, velma, and daphne.) he does not beg to watch scooby every minute that he is awake. and lately, i do not give in b/c it keeps him occupied. 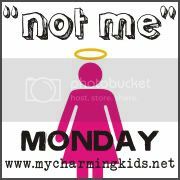 no, not me! 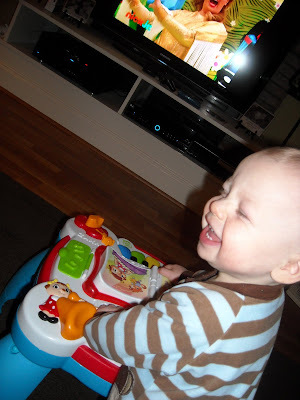 i know that studies say kids should only watch an hour or less of tv a day, and i always do what studies suggest. i mean, what kind of mom do you think i am? (ok seriously, do NOT answer that outloud!) ha. whew! it feels so good to get that off my chest! so what have you NOT been doing this week? so last week it was super cold outside, so we stayed in as much as possible... which led to bored little boys at the whitt house! lucas is always under my feet when i am in the kitchen, or either trying to pull stuff out of the cabinets. 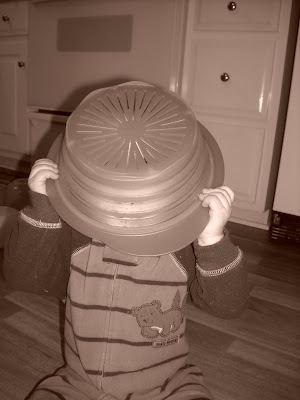 so i finally gave in and let him play with several pots, pans, and bowls! 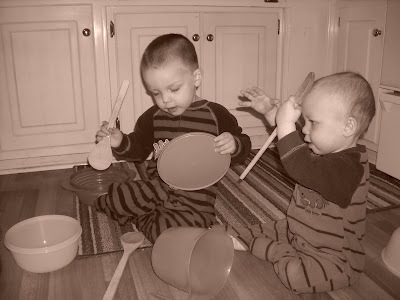 3 wooden spoons later, and the boys were having a good ol' time! 1, 2, a 1, 2, 3, 4! 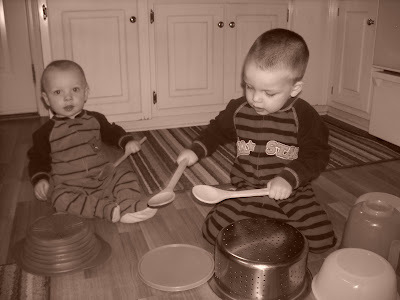 trace would count it off and hit his wooden spoons against each other, and then start playing a "rock and roll!" song. it was too cute. i videoed some of it, maybe i will try and load it on here! 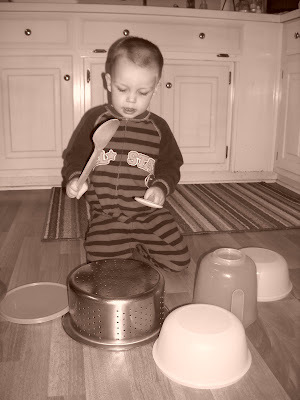 i really think trace is going to be musically inclined. 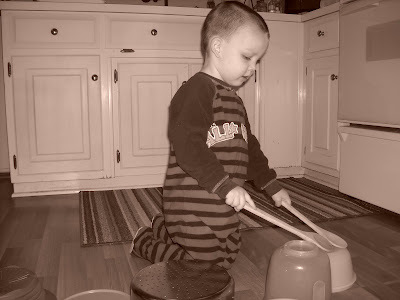 he takes after his daddy for sure, b/c i can hardly clap on beat, much less play any type of instrument! :) trace was going to town on these drums. he had the best time. 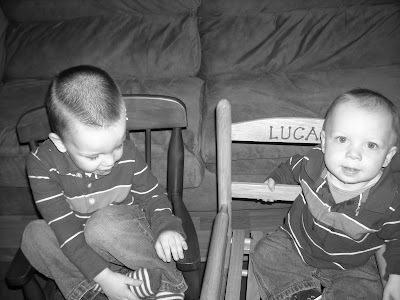 he would fuss at lucas when lucas messed up his drum set! 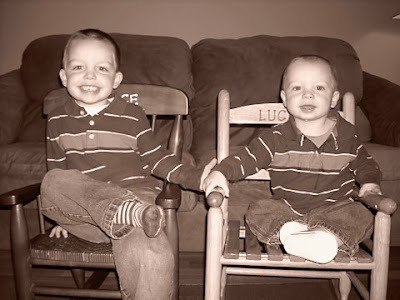 the boys have little rocking chairs that they love! lucas is getting brave, and trying to crawl up in his. i actually caught him crawling in it, then standing up backwards! i was too scared he was gonna fall to take a pic... so here are just a few cute pics of the boys posing! 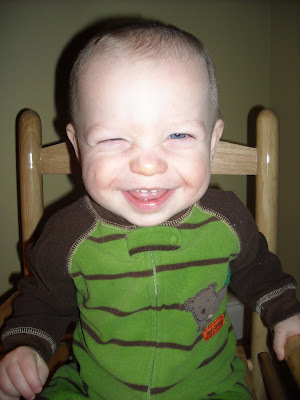 trace, however, gave me silly smiles and faces! notice the fleece pj's... the boys wore them all weekend. not just at night, during the day too! i am all about being comfy and cozy! and this one just makes me laugh! 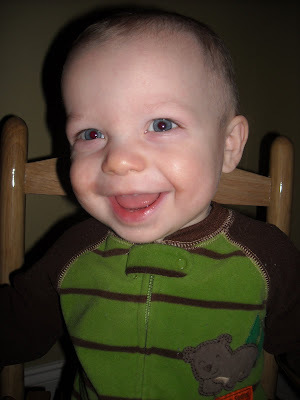 my lil pop-eye! i wish i could say things have been all smiles around our house, but it's not so. 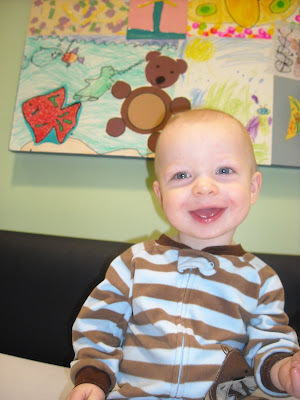 i took lucas back to the pediatrician bright and early saturday morning. and guess what? 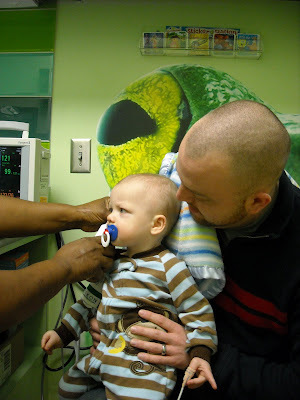 he has an ear infection! that's right folks, tubes on monday and ear infection on saturday. grrrr. poor thing also has an upper respiratory infection. 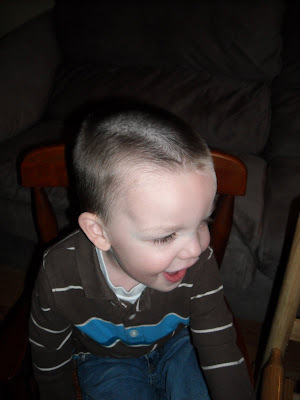 so he has new antibiotic ear drops as well as an oral antibiotic that he hasn't been on yet. 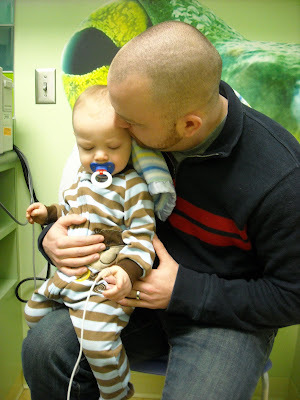 i am praying this little cold and infection were already setting in, even before tubes, and it's not a sign of what's to come in the future post-tubes for lucas. he has been fussier than normal, and yesterday the ONLY nap he took was before church. it was a long day for us, but fortunately he was so tired from not taking a nap that he slept all night. and with some help from my friend mr. tylenol pm, so did i! 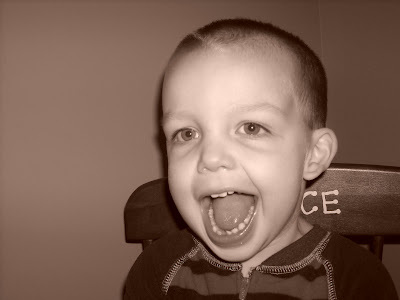 :o) i am praying these meds start helping him soon, and our sweet smiley boy is well for his big birthday bash. can you believe in less than 2 weeks he will turn one??? wow! praise the lord, the tubes are in- and lucas is doing great! it went so smooth, as everyone told me it would! 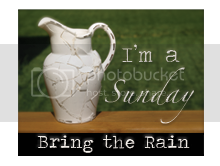 thanks to those of you who prayed... i really felt god's peace this morning! 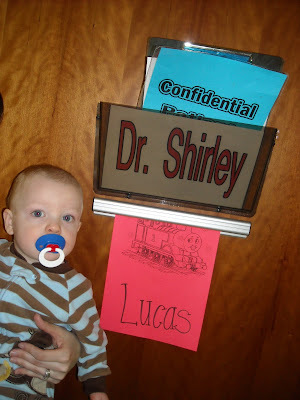 i was impressed with children's south, and dr. shirley who is lucas' ent. the nurses and everyone there were so friendly. 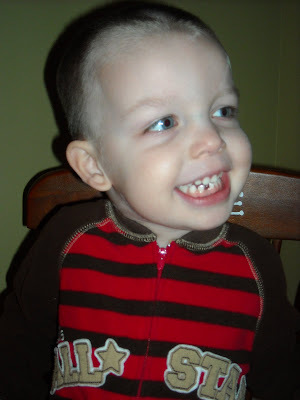 i loved how lucas got to wear his pj's the whole time! and how he got to stay in the room with us right until his surgery. he played and was mostly happy, considering we had to wake him up at 5:15 and he couldn't have anything to eat or drink! i think the hardest part was when i handed lucas over to the nurse and she took him through the doors to the OR, but i didn't even cry! 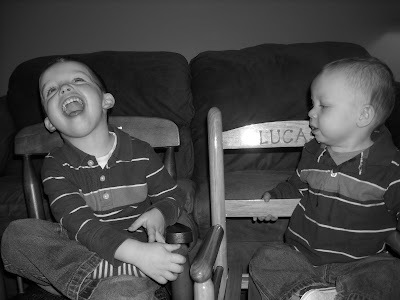 :) and neither did lucas, thankfully, or i know i would have lost it at that point! (and of course nate didn't cry either!) ha. lucas was only away from us for about 15 minutes. he was fussy when he came back in, from a combination of being hungry and sleepy i'm sure. 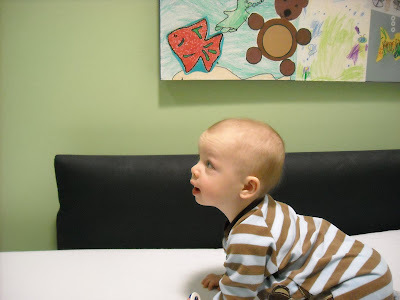 we saw the dr. and he said everything went well. they released us, and nate headed in to work. lucas and i came home, with plans to crash! lucas remained fussy but didn't want to go to sleep at first... so he took a bottle and played for awhile, and finally slept for 1 1/2 hrs. i was expecting/hoping for a good 3-4 hr nap, but oh well... he woke up very HAPPY and that's all that matters! :) he ate lunch, and has played hard since then. i just gave him ear drops and tylenol, and a bottle. and now he's back down for another nap! 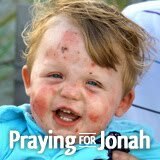 i am praying that these tubes help tremendously and we are on the road to recovery! so far, so good! 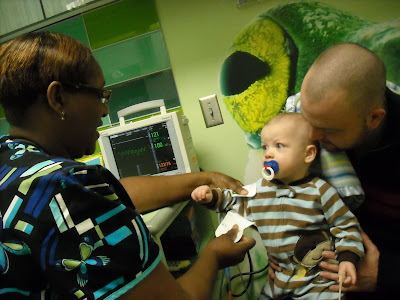 the nurse was great with him. 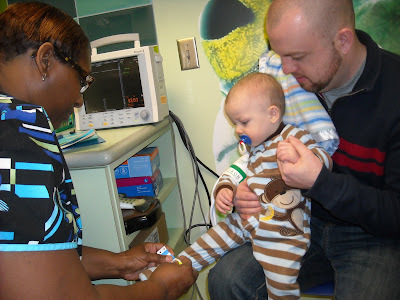 he was so curious when she was taking his pulse and bp, but he sat still the whole time and never cried! such a big boy! there was a playroom, and several wagons/riding toys. 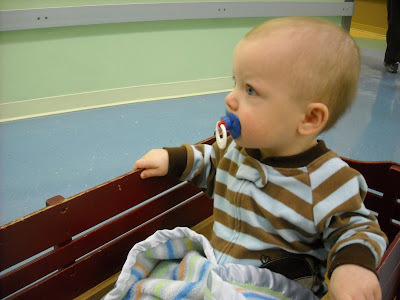 nate and i took turns walking him up and down the hallways while he enjoyed riding in the wagon. but it sure didn't take him long to get happy again! 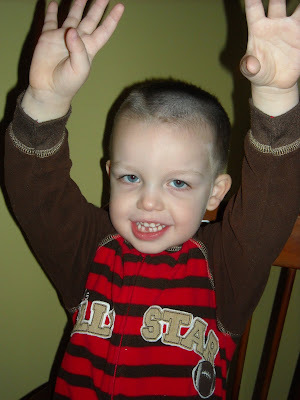 this is after his nap... he was playing and being so sweet and silly, as usual! 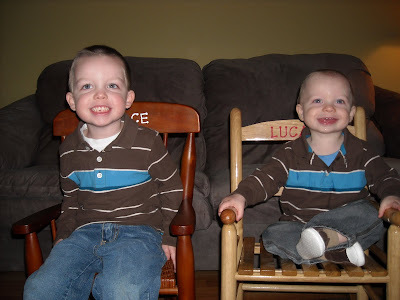 lucas and trace both have a yucky cough and runny nose, despite my efforts of keeping them in out of the cold all weekend. i am praying they both clear up soon and it's nothing major. praise god for a quick and easy surgery today. i am so thankful for his peace and love that surrounded us. 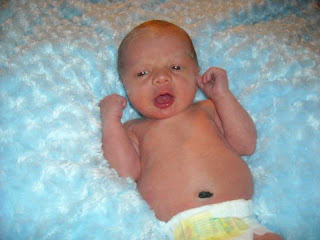 again, i know tubes are very routine and not a big deal, but it can be scary when it's your baby! 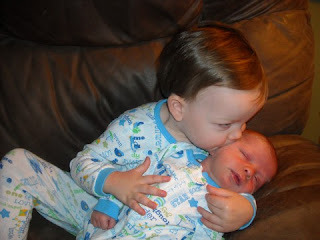 as a friend on facebook reminded me last nite, he has the whole world IN HIS HANDS... even the itty bitty babies! thank you jesus for keeping us all in your hands. there is no place i'd rather be!